It’s the holiday season again and you know what that means, holiday parties! Time with friends and family, great food, and tasty cocktails. Making cocktails at home is new for many people, so we’ve put together a list of cocktail recipes for lovers of all spirits that you can enjoy over the holidays. For many people, this time of the year is about sticking with time-honored traditions, so this list is full of the classics. We’ve suggested a few modifications here and there to make the drinks extra festive, but mostly these drinks are festive all on their own. Whether you’re hosting a holiday brunch, an elegant dinner, or a cocktail party these drinks are sure to make your celebration extra special. With the exception of the Hot Buttered Rum, these drinks should be made to order. Use fresh juices whenever possible. They make a world of difference. However leave time to juice the fruits before your guests arrive, as the process can be slow and messy. Simple syrup can be bought at the store or made at home before hand. Mix 1 part sugar to 1 part water and bring to a boil. Chill. For drinks that involve mixing, stir drinks for approximately 30 seconds, shake for 10. Play around with the drinks. Let the recipes be your guideline, not a strict set of rules to follow. And have fun! A sweet and creamy winter treat perfect with desserts or as dessert. Shake with ice and strain into a coupe glass. Garnish with a pinch of freshly ground nutmeg. This classic has all of the flavors you want at the holidays: chocolate, cream, nutmeg. This drink just seems made for the holidays. One of the oldest cocktails in the Mr. Boston book. Great for an extra special occasions. 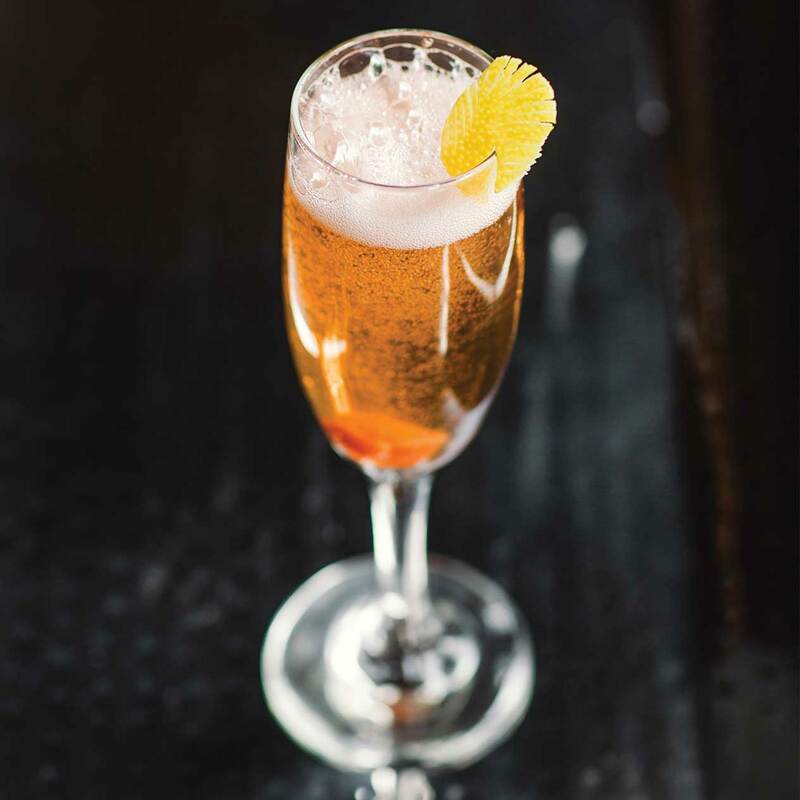 This drink is bubbly and elegant. It’s not something you’d drink on an ordinary day, it’s for celebrations. Perfect for the most wonderful time of the year! This drink is fun and playful, light and bubbly. The French 75 is great for those who love bubbles but find champagne too dry. This slightly sweet drink is easy sipping. Whether you’re enjoying the drink on its own or with food, it’s sure to be a hit. Light and herbal. Great all night long. 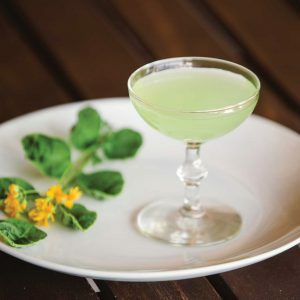 This drink combines maraschino with green chartreuse for a sweet and incredibly flavorful drink. The maraschino brings a cherry flavor and the chartreuse gives it a million different flavors, well 130 to be exact. It contains 130 different herbs known only to two French monks. It’s the perfect liqueur to give a cocktail both holiday colors and holiday flavors, or just to sip on its own as an after dinner treat. The martini’s slightly sweeter older cousin. A classic drink with a hint of cherry. Stir with ice and serve in a martini glass. Garnish with an orange twist. 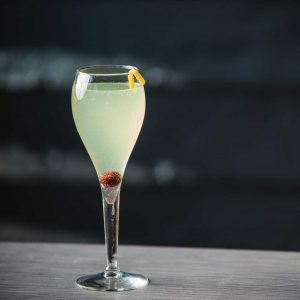 This cocktail goes all the way back to the 1860s and eventually evolved into the martini. It’s great for martini drinkers who want to enjoy something a bit more festive during the holidays. 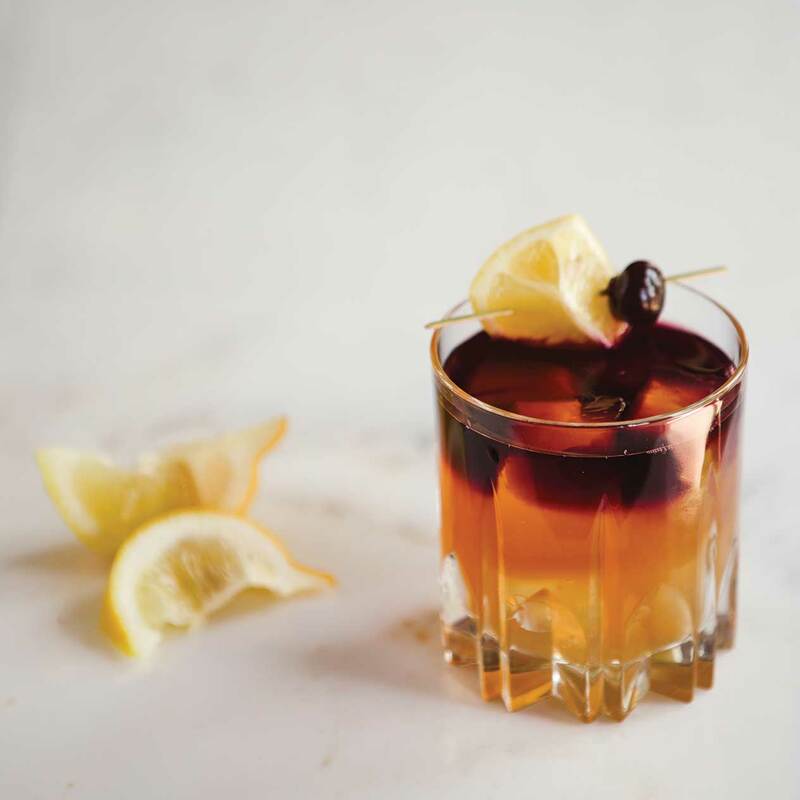 It contains a little cherry liqueur and a twist of orange that will put you right in the holiday spirit. A light and refreshing drink with bitter orange. Stir with ice. Serve up or on the rocks. Garnish with an orange twist. This a true classic. Its most associated with summer, so it’s perfect if you’re celebrating in a warmer climate. It contains Campari, a bitter orange liqueur from Italy. The drink would pair well with foods containing fruits like cranberry and lemon. 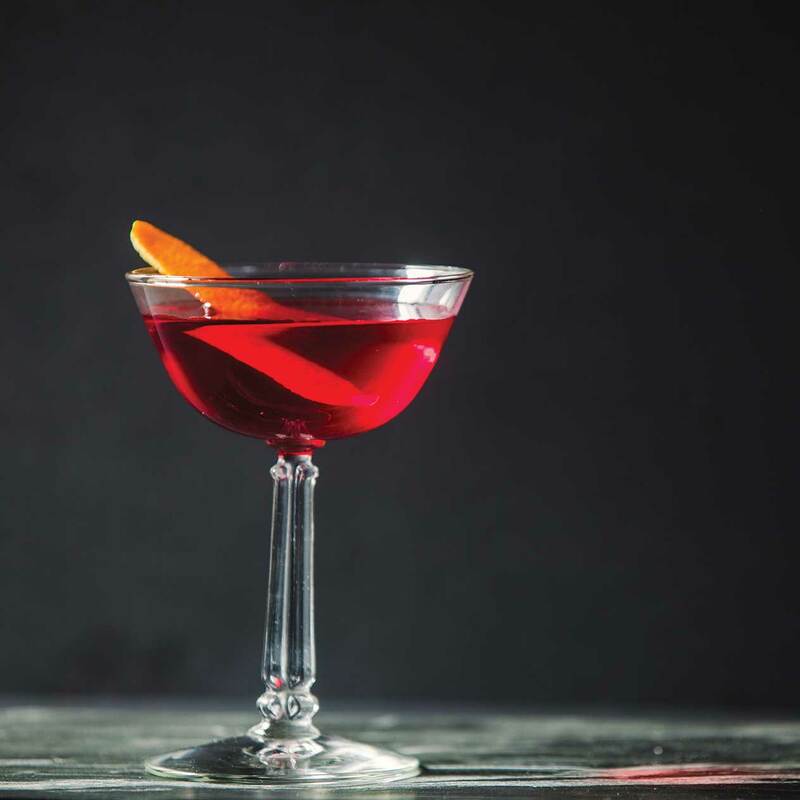 Substitute the gin with rye whiskey for another delightful drink, the Boulevardier. Pair the Negroni or the Boulevardier with the Last Word and the room will be filled with beautiful, festive red and green cocktails. A sweet, rich treat to make you feel all cozy. This drink requires some preparation. Before your holiday party, make the batter by mixing all ingredients with an electric blender. Cover and put in the fridge. The batter will be ready after about an hour and will keep for several weeks. When it’s time to serve, pour rum, 1 tbs of batter, and fill the mug ¾ full with hot (not boiling) water into a mug. Stir. You should have enough batter for approximately 25 drinks. 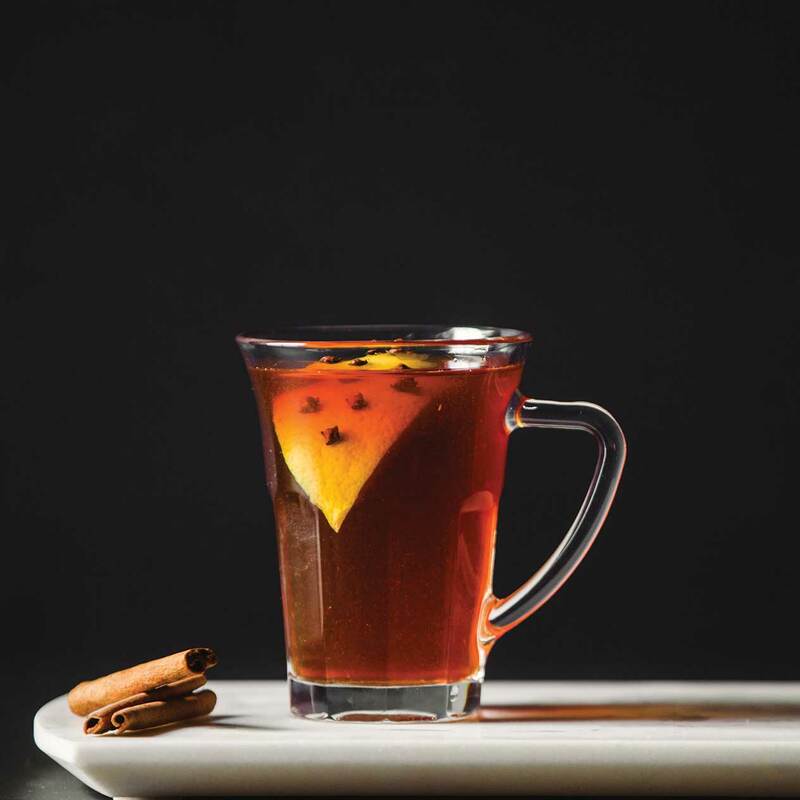 This drink is perfect for keeping warm on cold nights. It’s a real treat best enjoyed on special occasions. It contains that perfect holiday flavor combination of brown sugar, cinnamon, nutmeg, allspice and of course butter! You can also substitute the rum with whiskey if you’d prefer. 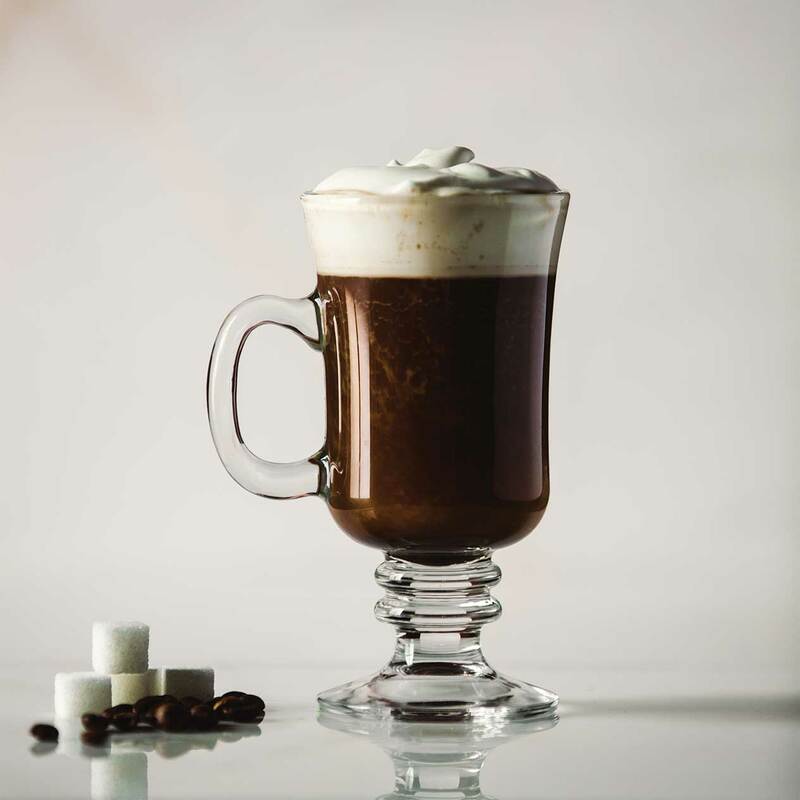 A modern classic with hint of smoke and cocoa. Stir with ice and strain into an old fashioned glass over ice. Garnish with orange twist (flamed, if you desire). Tequila cocktails typically utilize summery, tropical flavors. This is an exception. It’s smokey with subtle chocolate and cinnamon notes which make it perfect for sipping during the holidays. Shake with ice. Serve up in a martini glass. There is little better with sweet holiday treats than a chocolate martini. This is sure to be a hit during the holidays. An excellent after dinner beverage. Stir and serve on the rocks. This drink is as tasty as it is simple. It makes an excellent sweet treat after dinner. 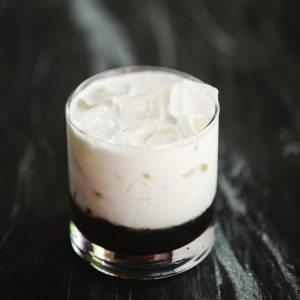 Make it a Black Russian and hold the cream for the original, drier (and dairy-free/vegan) version of the cocktail. The best drink to keep you feeling warm on cold winter nights. Stir. Pour in a mug and fill with hot water. Garnish with a lemon wheel studded with 4 pieces of clove. 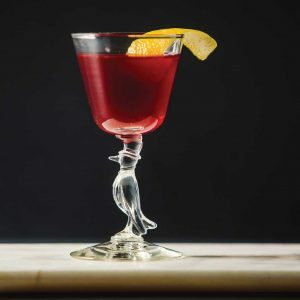 This is the iconic winter cocktail. Honey, lemon, and clove provides you with all of the holiday flavors you want while the hot water gives your body all the warmth it needs. You can also play around with this recipe. Try it with dark rum or brandy, add fresh ginger juice, or replace the hot water with tea. The perfect holiday brunch cocktail or after dinner treat. Pour into an Irish coffee glass and stir. Garnish with whipped cream on top. 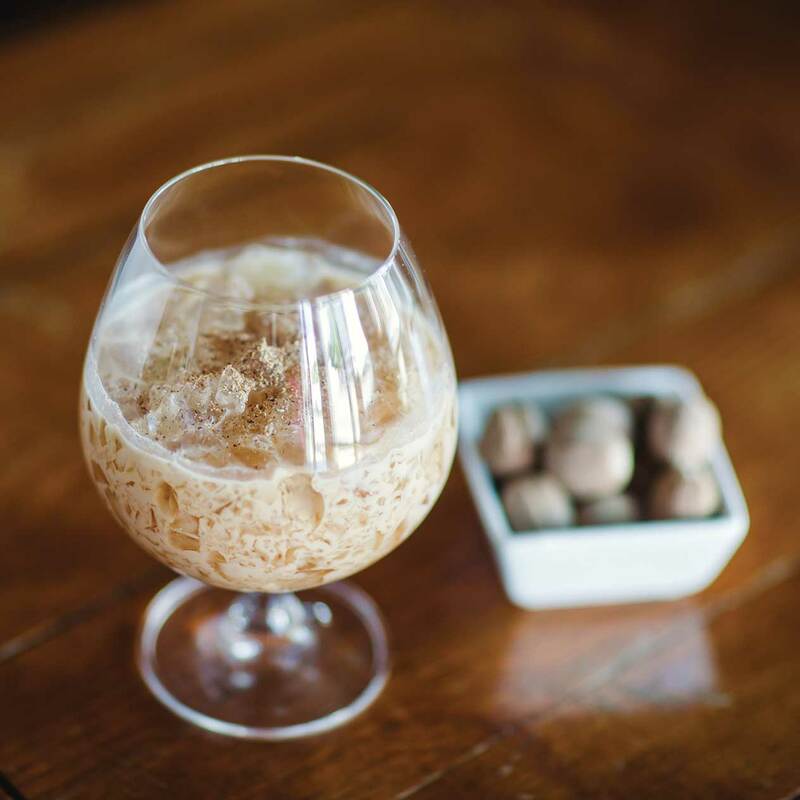 This classic drink is great for a festive pick me up after dinner or with a holiday brunch. It’s simple and sure to keep you warm and energized. Add a pinch of ground nutmeg to give it a subtle holiday kick. A classic cocktail with a wintry twist. Stir with ice. Serve in an old fashioned glass on the rocks. Garnish with a lemon twist. This drink is a slight update to the classic cocktail to give it a delightful holiday twist. 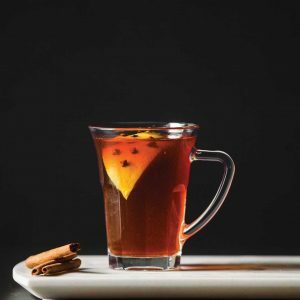 It replaces the traditional simple syrup with maple syrup and uses old fashion bitters that contain wonderful cinnamon flavors. It’s a beautiful, wintry treat. Shake and strain into a rocks glass over ice. Float ½ oz of dry red wine on top. This drink is one of those cocktails with a visual wow factor. The red wine floating on top gives the drink layers of color that will give your holiday party a pop. The lemon and maple flavors combine for the perfect holiday drink. To make the drink richer and deeper, use port instead of red wine. A sweet treat with holiday fruit cocktail, without the added alcohol. Shake with ice and strain into ice-filled old-fashioned glass. Garnish with lime. Serve in an Old-Fashioned Glass. This drink is perfect for the holidays. Orange, cranberry, and hint of grenadine bring all of the holiday fruit flavors together. Perfect with your favorite holiday food or on its own! A tasty alternative to bubbly. Stir lemon juice and simple syrup. Pour into a champagne flute and top with premium tonic water such as Fever Tree. Garnish with a lemon twist. This drink brings all the fun of drinking an effervescent champagne without the alcohol. The lemon and tonic allow it pair well with a holiday meal or hors d’oeuvres.